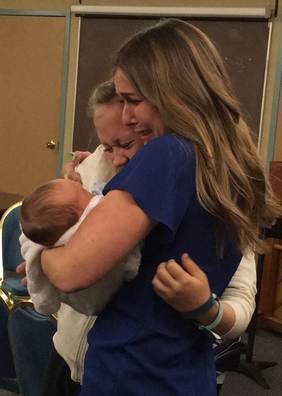 In March 2016, Hannah Mongie decided to give her newborn boy up for adoption. However, she wanted her son to one day understand why she made the decision, so she made an emotional video for the boy (now almost 2). The couple who adopted Mongie’s baby has made her a part of the extended family, making open adoption work for everyone. “I made this video, so you know how much I love you. I wanted to tell you why I made the decision to place you with your family,” Mongie said in the tearful video. Please share with Triad FS your experience with open adoption. That was a very emotional video. A family doctor understands the real problems of you and he or she tries to health you in every way. The essayshark review shares the list of good doctors where you can hire for the family doctor.